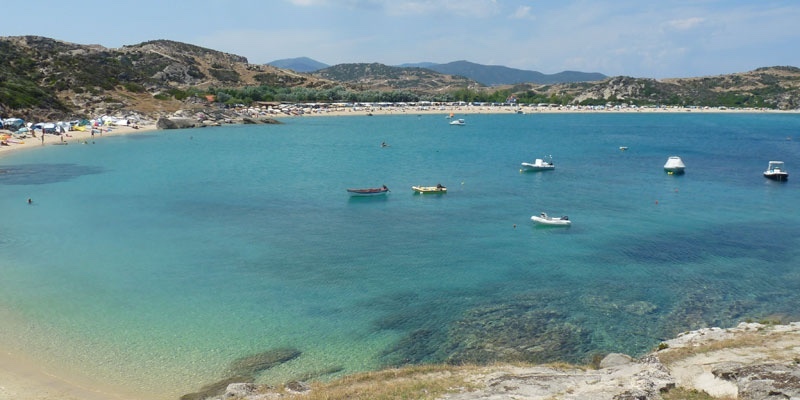 Kriaritsi beach is a long bay that is actually 2 beaches divided by a crag. The southern smaller section of beach is frequented by nudists who set up camp over the summer. 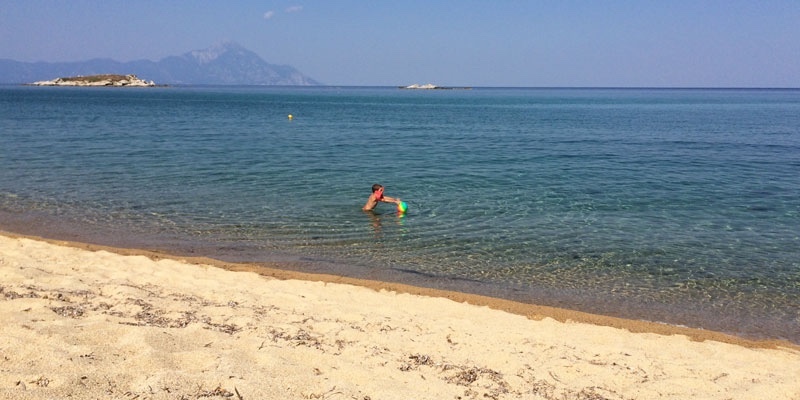 The northern larger part is also very much a campers beach but the more clothes friendly kind. 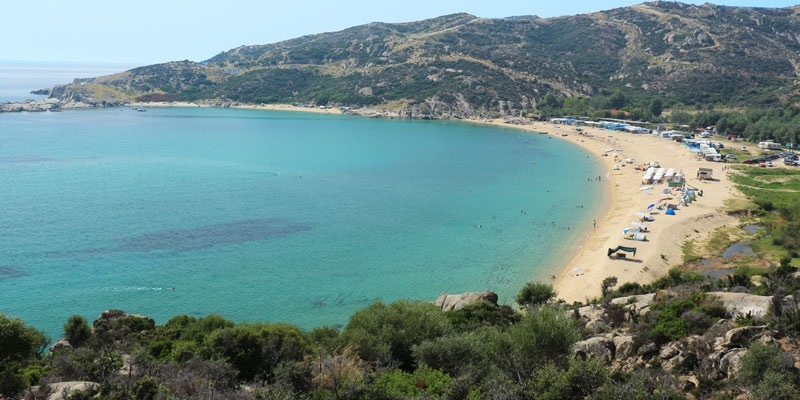 Facing the open sea, the water is amazingly pure, a delight for swimmers and is rated among Sithonia’s top 10! 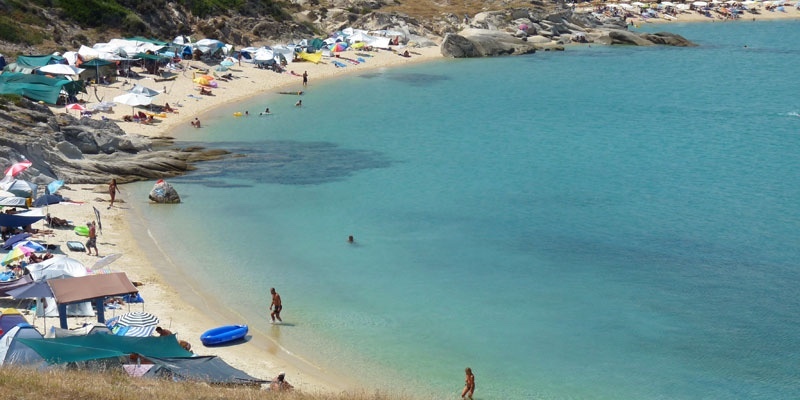 The organized campsites care for a small part of the beach and operate a restaurant and a beach bar. 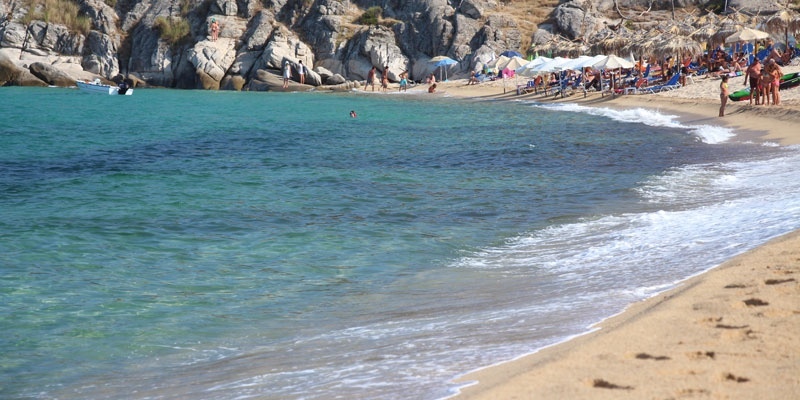 There is another beach bar in the center of the beach which is operated by the taverna about 100 meters behind the beach. Sun-beds and umbrellas are available at these spots as are toilets and showers. 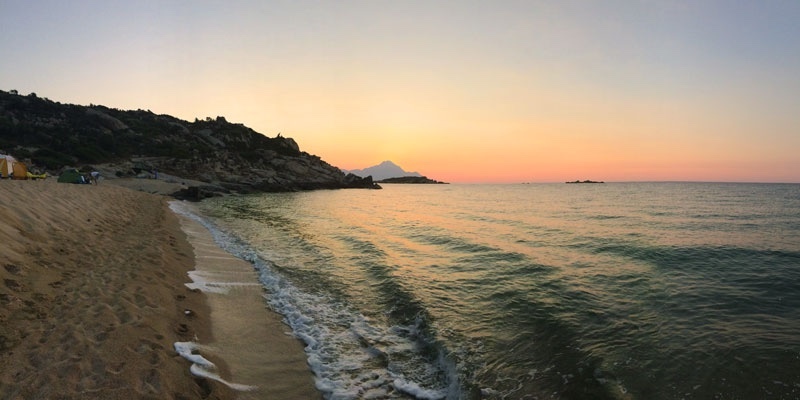 The water at Kriaritsi is deep which means you can get some good waves, but it can also be amazingly calm. The beach drops off steeply and continues to drop off so that just 15 m off shore you can’t touch the bottom. 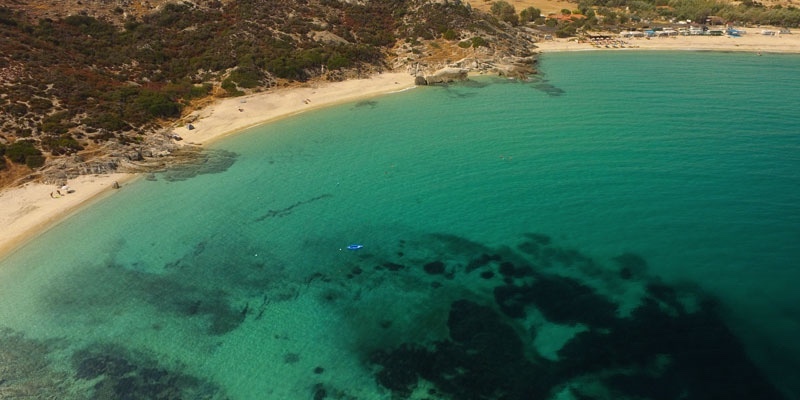 Kriaritsi is also a great beach for windsurfing and kiteboarding or just to soak up the sun. 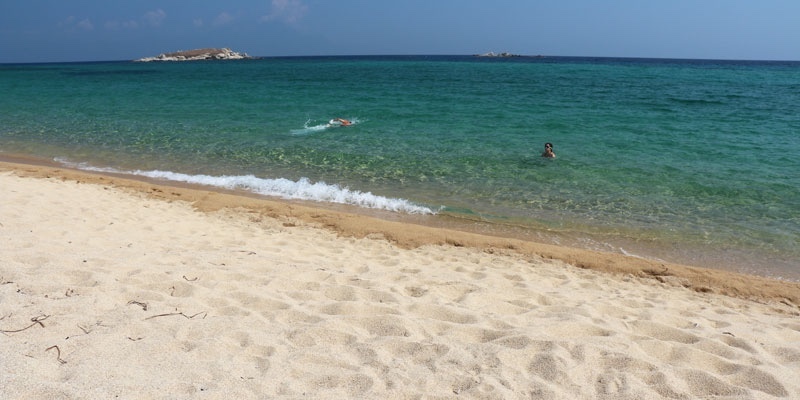 Kriaritsi is a must do destination and not to be left off your Halkidiki beach list. 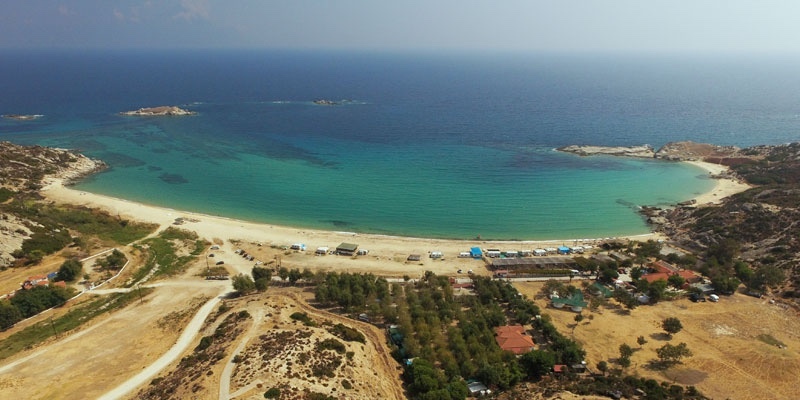 One of Sithonia’s best 10. Course sand that doesn’t stick to you. Great swimming. Real isolation and hard to reach. Minimally organized. Toilets a little difficult to find. Access is a little difficult. You need a car or a good set of legs. Driving north from Kalamitsi a few kilometers, you will arrive at an overpass. Turn right onto a dirt road that will take you into a maze of abandoned streets of a undeveloped community. Follow the written directions, mainly spray painted on the pavement. The difficulty of getting here is made up for when you arrive. 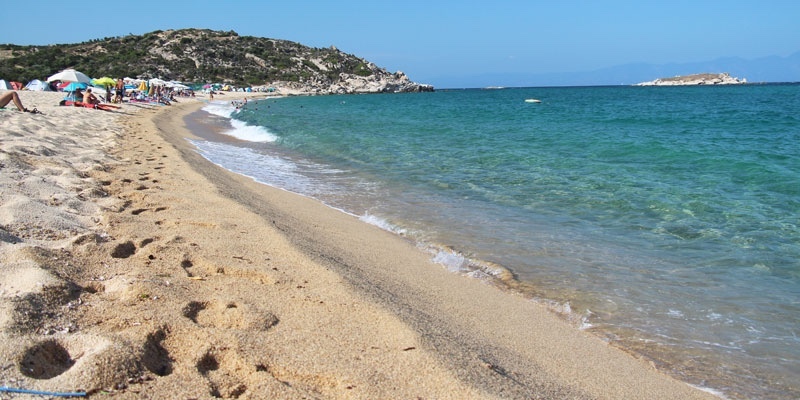 A real off the beaten path beach, but is worth the effort. 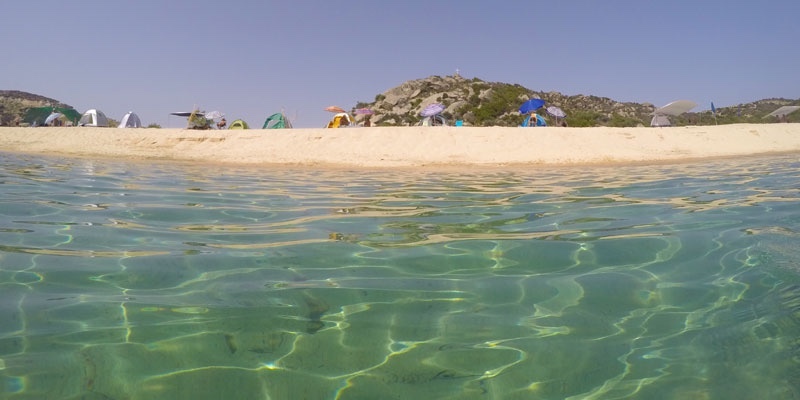 Super sand, water and no crowds!